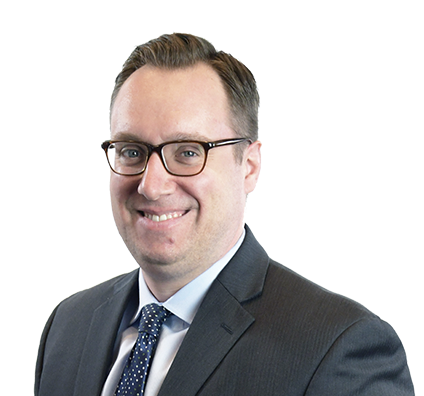 Anthony concentrates his practice on product liability and construction litigation, counseling clients on all aspects of their risk management programs. He works closely with local and national product manufacturers and construction companies in assessing and managing claims, contracts, liability insurance programs and lawsuits. Anthony is a member of the firm’s Technology, Manufacturing & Transportation industry team. Anthony has practiced in multiple states, handling all phases of pretrial, trial and appellate litigation in state and federal court. His focus is identifying client-specific needs and providing individually tailored cost-benefit analysis. For these efforts, Anthony has been recognized five consecutive years by Wisconsin Super Lawyers. Serving on the national counsel product liability team for one of the largest material handling manufacturers in the country. Representing owners, municipalities and general contractors in construction disputes, construction defect litigation and insurance coverage risk management. Advising corporations and insurance companies in defense and indemnification disputes, as well as bad faith litigation. Representing product manufacturers in product liability cases involving industrial, home and consumer products. In addition to his practice, Anthony co-chairs the Alternative Dispute Resolution section of the Milwaukee Bar Association (MBA), where he organizes lectures and promotes local services in various forms of mediation and arbitration. He is a member of the MBA’s Fee Arbitration Committee, arbitrating disputes between Wisconsin attorneys and clients over fees claimed and incurred for legal services. Anthony also is a frequent lecturer to clients and trade groups on liability insurance and contractual risk management. Served as trial and appellate counsel for a large municipality in a high-profile trial and subsequent appeal after a catastrophic loss stemming from the failure of a concrete panel on a municipal parking garage. After an eight-week trial, the jury found the municipality only 2 percent liable and awarded it $6 million in damages against the panel contractor. Obtained full dismissal on summary judgment for a global leader in HVAC manufacturing in a property damage suit in the Supreme Court of the State of New York. Obtained full dismissal on summary judgment for a global leader in tanning products in personal injury suit in Beaufort County, S.C. Assisted in obtaining a complete defense verdict for a client that manufactures material handling equipment after a seven-week trial in Southern California. Obtained a subsequent judgment against the plaintiff for costs. Obtained full dismissal on summary judgment for a client that manufactures material handling equipment in a personal injury matter in the Circuit Court of Jefferson County, Alabama. Assisted a Catholic archdiocese with multiple insurance coverage and evidentiary disputes in its Chapter 11 bankruptcy proceeding.